lagosâ€”VANGUARD Newspapers had a brilliant outing at the 2017 Nigeria Media Merit Award, NMMA, as its Senior Health Correspondent, Mrs. Chioma Obinna wonÂ 9mobile Most Innovative Reporter of the Year Award. At the event, which was held yesterday in Lagos, Vanguard was alsoÂ nominated in six other categories, including the Editor of the Year Award. She clinched the award with her entry entitled: National Hospital Where Death is Cheap. She is a leading Health Correspondent, who had won several awards in the past. 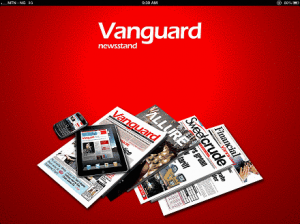 The post Vanguard shines at NMMA Award, wins Most Innovative Reporter of the Year appeared first on Vanguard News.